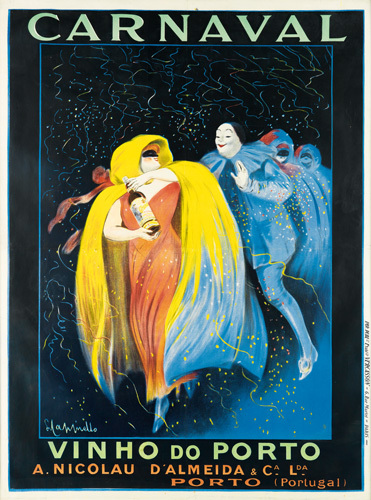 Numerous posters by Leonetto Cappiello and Luciano Achille Mauzan, including rarely-seen works, capture the essence of their styles. 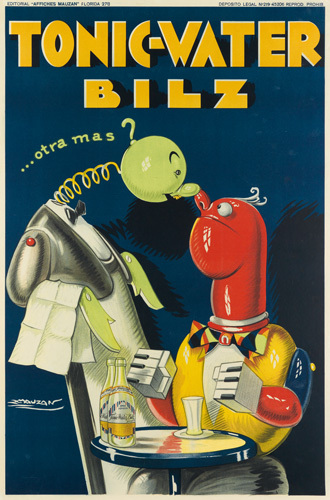 A dizzying, delicious section of wine, food and liquor advertisements features more than 75 posters, the largest selection we’ve ever offered. 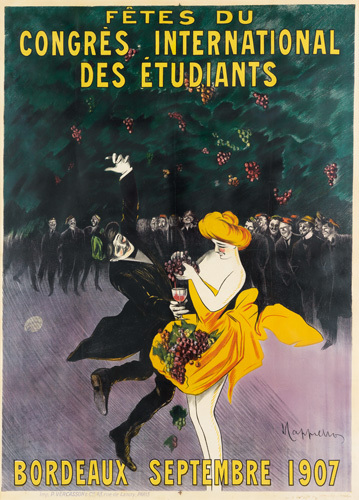 Lot 359: Leonetto Cappiello, Fêtes du Congrès International des Étudiants, 1907. Estimate $8,000 to $12,000. Lot 365: Leonetto Cappiello, Carnaval / Vinho do Porto, 1911. 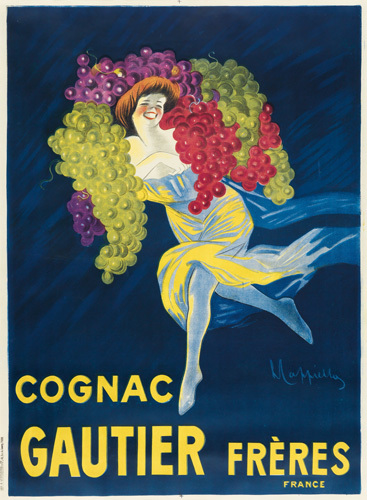 Lot 360: Leonetto Cappiello, Cognac Gautier Frères, 1907. Estimate $7,000 to $10,000. 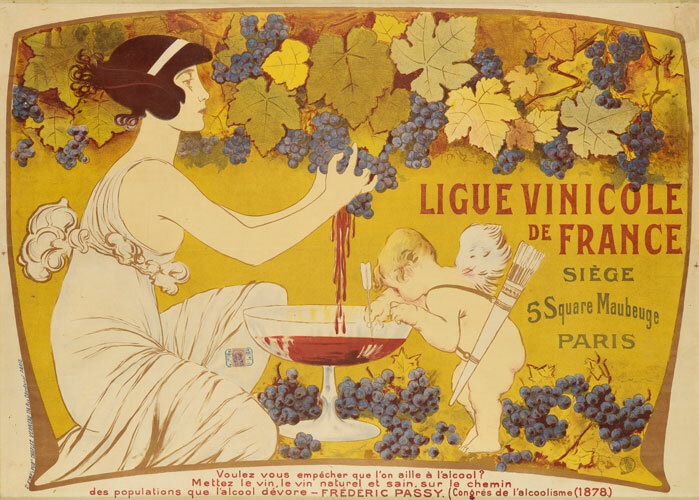 Lot 294: Manuel Orazi, Ligue Vinicole de France, circa 1901. Estimate $6,000 to $9,000. Lot 378: Luciano Achille Mauzan, Tonic – Water Bilz, 1929. 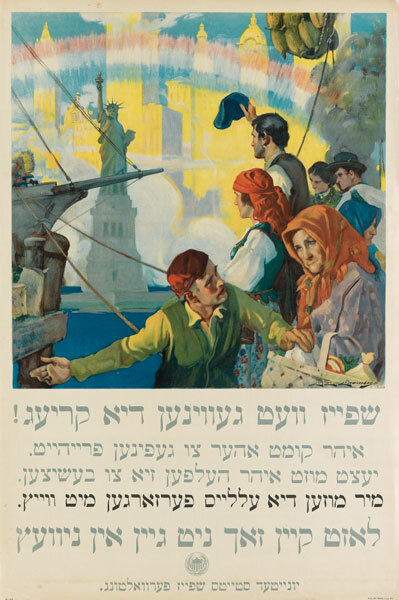 The offering of war posters that defines our August poster auctions features a special series by the Food Administration, circa 1918, as well as the work of the standard-bearers of twentieth-century American propaganda, Howard Chandler Christy and James Montgomery Flagg. From WWII comes a rare series published by Stetson Hats, featuring the memorable tagline Loose Talk Can Cost Lives–Keep It Under Your Stetson, and anti-venereal disease posters by Arthur Szyk. Lot 27: Howard Chandler Christy, If You Want to Fight! 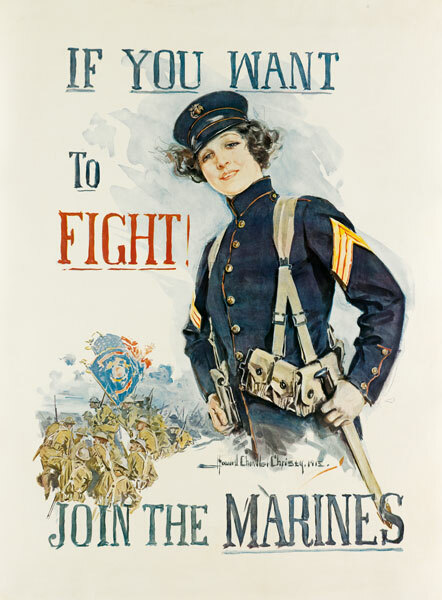 / Join the Marines, 1915. Estimate $2,000 to $3,000. Lot 52: Charles Chambers, [Food Will Win the War], published by U.S. Food Administration, 1918. Estimate $800 to $1,200. 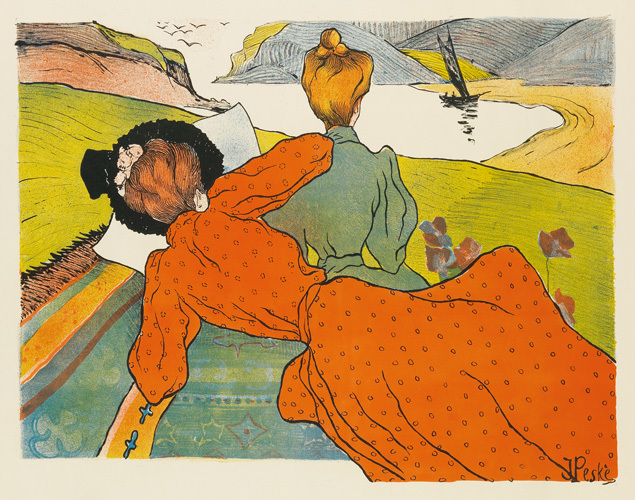 A bountiful selection of Art Nouveau is marked by fabulous works from masters of the age, including Jules Chéret, Jules-Alexandre Grün and Alphonse Mucha. 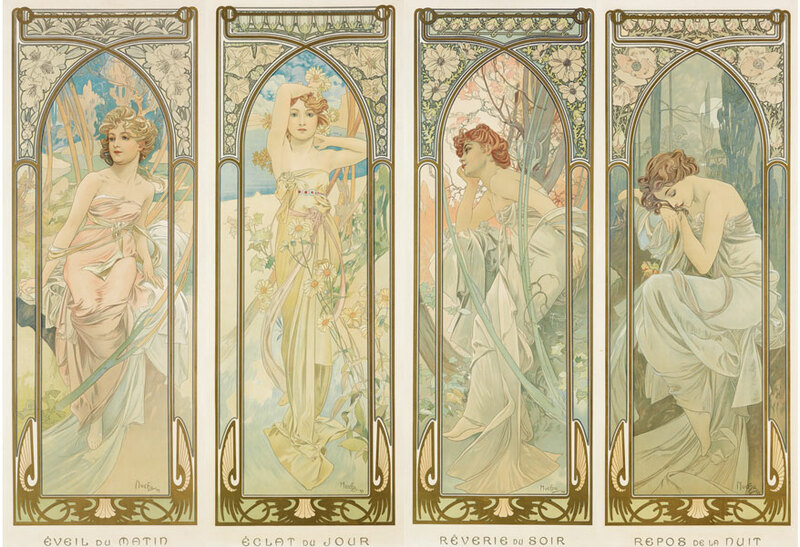 Lot 214: Alphonse Mucha, Times of Day, four decorative panels, 1899. Estimate $40,000 to $60,000. 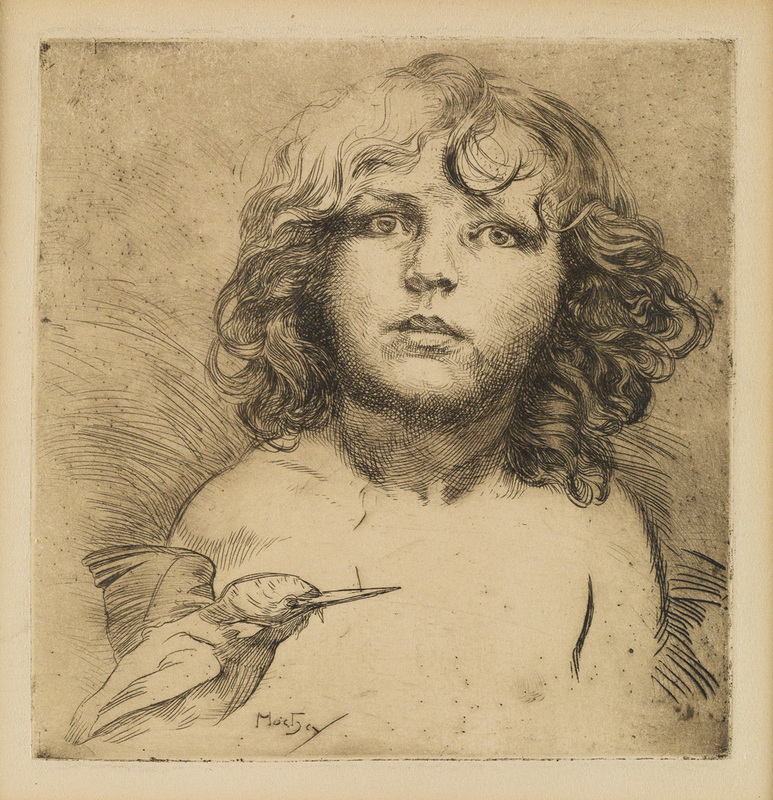 Lot 220: Jean Misceslas Peské, L’Estampe et l’Affiche, 1898. Estimate $6,000 to $9,000. 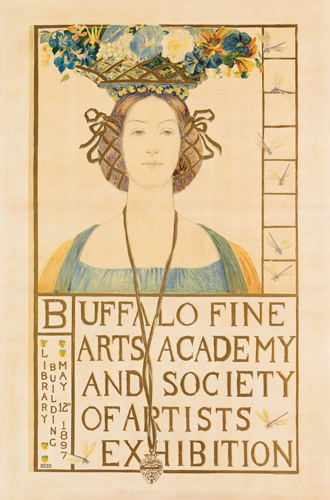 Lot 148: Alice Russell Glenny, Buffalo Fine Arts Academy and Society of Artists Exhibition, 1897. Estimate $3,000 to $4,000. 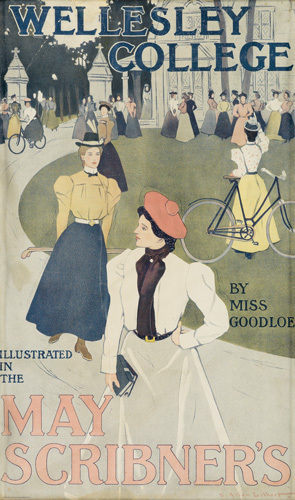 Lot 146: C. Allan Gilbert, Wellesley College / May Scribner’s, 1898. Estimate $3,000 to $4,000. 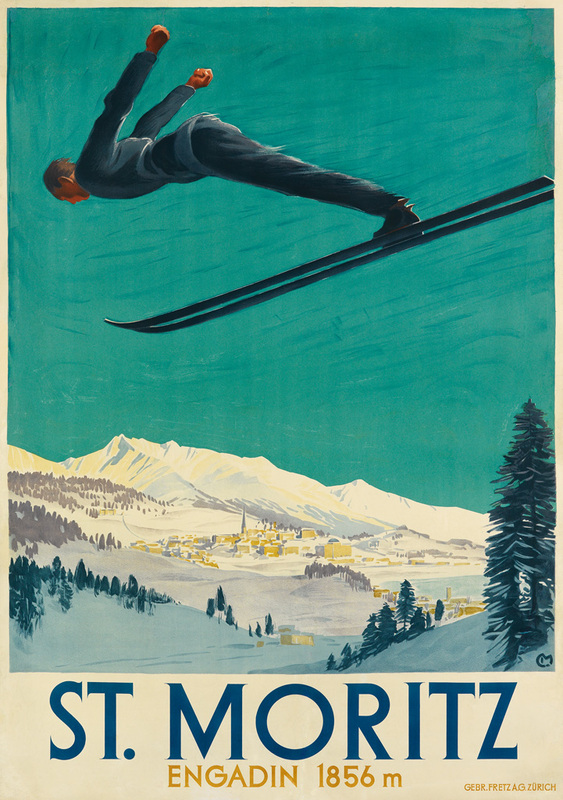 For more information on the sale, contact Specialist Nicholas D. Lowry in the Vintage Posters department.